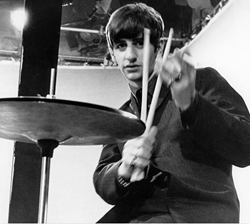 Ringo Starr Shares Beatles Stories, Never-Before-Seen Photos in New Book . Beatles Radio: The Beatles, Solos, Covers, Birthdays, News The Fab 4 and More! The iconic musician is releasing a series of previously unpublished photos in his new coffee table book, Another Day In the Life. Another Day In the Life, available for pre-order from Genesis Books, is a quirky assortment of photos snapped by Starr, including candid views of his everyday life, as well as archival shots of Paul McCartney and other legends from his Beatles days.